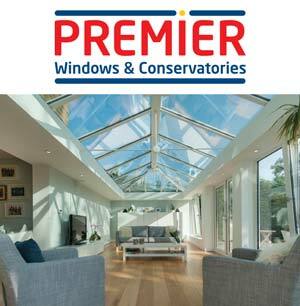 Premier Windows & Conservatories is a local family run business, established in 1989 - we remain one of Shropshire's leading conservatory, orangery, window and door installers. All of our staff are extremely well trained and we offer an efﬁcient, friendly and above all professional service at all times. You will ﬁnd that our staff are ready and willing to share their valuable experience and advice with our customers. The majority of the jobs we do come from happy customers telling others about the professional job that the Company has carried out. Premier are able to offer this comprehensive guarantee on a wide range of windows, doors, orangeries and conservatories because we use only the best materials and components which have been selected for their inherent durability, and which are proven to withstand the test of time. Let’s face it, windows, doors, orangeries and conservatories are not your everyday purchase and for most people they represent a considerable financial commitment. But over 20 years our products offer fantastic value for money and become a truly sound investment when you consider the cost savings you’ll make on your heating bills as a result of the improved energy efficiency of your home. To meet the needs of our customers - Premier Windows & Conservatories products with the latest technological machinery. Substantial investment in the latest technology, machinery and a comprehensive employee training program have created a unique blend of craftsmanship and automation to exceed our high standards. Our extensive range of products uses the most advanced UPVC on the market - ensuring the perfect consistency of quality, colour, and finish throughout every product range. In fact, with a large capacity, modern delivery fleets and commitment to offering short lead times enables Premier Windows & Conservatories to supply the products when our customers need them - and with impressive speed, efficiency and quality. Premier Windows & Conservatories is a member of FENSA (Registered No. 15146) - the leading body providing homeowner protection in the double glazing industry for windows and doors. Call our team on 01691 773993 for help & advice. Premier Windows & Conservatories customer advisors will be honest, diligent and at all times fair in their dealings with you. We don’t artificially inflate our prices in order to offer dramatic but bogus discounts. We simply offer good deals and honest value for money. Over the years Premier Windows & Conservatories have perfected their fitting service to become one of the best throughout Oswestry, Ellesmere Port, Wem, Market Drayton, Shrewsbury, Telford, Newport, Pontesbury, Church Stretton, Welshpool and Wrexham. You’ll be given a firm fitting date, usually between 3 to 6 weeks hence. An installation manager will make sure that all the building work runs smoothly in advance to meet this date, starting with a professional site survey and concluding with a satisfaction questionnaire. You can be absolutely confident that the builders and installers who arrive at your home are totally qualified and craft trained in the work they are to undertake and have completed many installations throughout Shropshire & North Wales.